New - Save Settings - CR2 Loader wil lnow remember all your settings, until you change them. No more moving License Files - License now lives in the same directory as your plugins. Better auto-generated weight maps. Plus auto loading of custom altered weight maps from plugin directory. Now supports multi part morphs. These are morphs (Vic 2, Vic 3, Mike 2) where a morph component is used in multiple body level morphs. This has been a real problem for our Mike users. All these complex body level morphs are now created correctly in 1.5. Skip Bones - To get those guys out of the way when you are going to use Obj to Morph to pose the mesh with morphs instead of bones! Poser 5 support - import of all compressed file formats and poser 5.exe fix. Can now import figures and props from all Poser 4, ProPack and Poser 5 file formats. 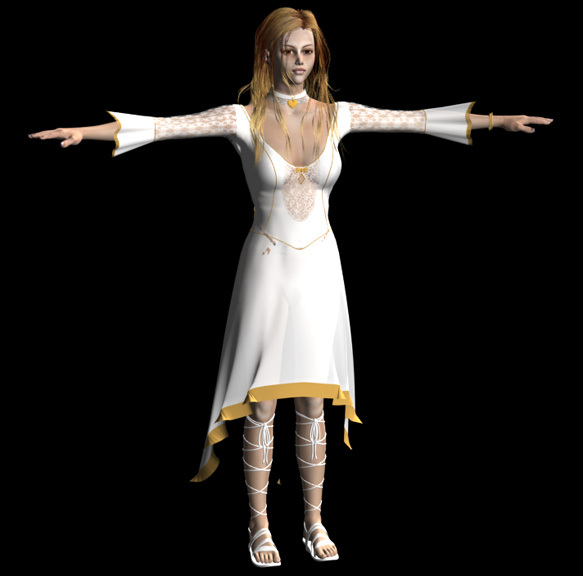 What it does NOT support from Poser 5 in this release - P5 cloth and hair - but coming next! Now you can easily use hi-res human figures in your Lightwave work. This plugin allows you to move complete figures from Poser to Lightwave. Our set of plugins was designed to both convert Poser figures for use in Lightwave animations as also to import Poser figures in their native format to be used to create new commercial Poser products. We also have a set of additional Lightwave utilities to aid Poser commercial work. Imports ALL morphs. Joins multi part morphs into body level morphs. Imports all material colors, texture, trans, reflection and bump maps and settings, applying them correctly for Lightwave. 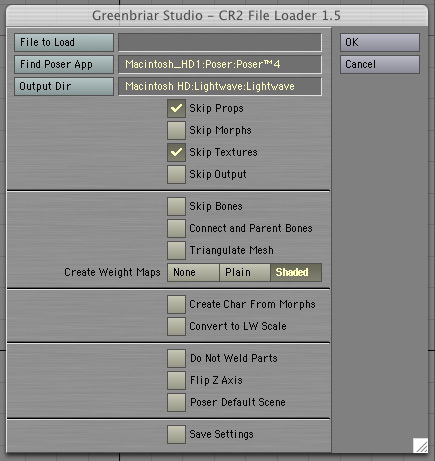 Creates a basic Lightwave scene file assembling the objects found in the CR2 file, complete with bones for all figures. Automatically saves the set of .lwo objects along with the new .lws scene file. Auto save and .lws file creation work in CR2 mode only. Props loaded directly from prop files must be saved as .lwo and added to scenes (no position info in prop files). Suppress the save of all the objects from a CR2 and the creation of a matching .lws file. 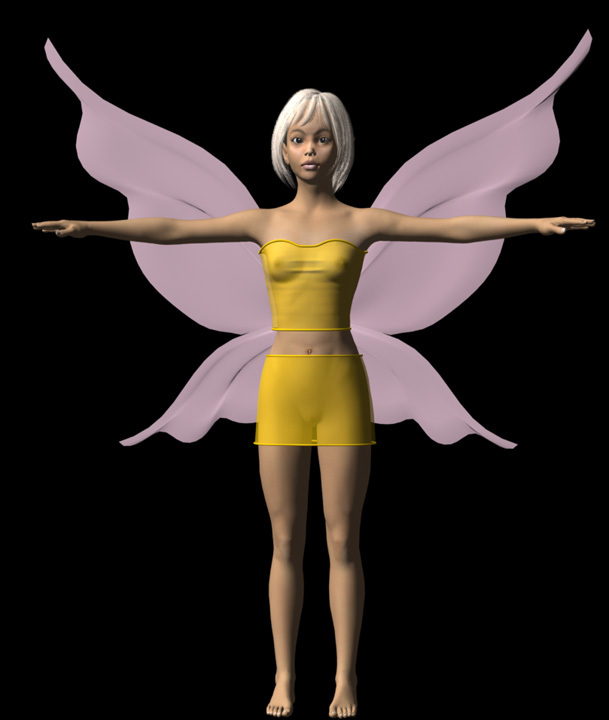 Creates a joined and parented skeleton for Lightwave from the Poser skeleton information. Creates a fully parented skeleton ringht in Modeler. An alternative to manually parenting the bones in Layout or using our Rigger plugin. Creates a default weight map for each bone. The default map consists of all points in the corresponding body part set to 1.0 all others 0. All weight maps are named to match the bones, so they will be automatically applied when you convert the skelegons to bones in Layout or when they are loaded from our .lws file. Since the point sets are the same for all characters based on the same mesh, these sets can be tweaked, saved and then re-used for different characters. Has a create character function. This allows you to 'spin the dials' in Poser and create a new character and when you import it into Lightwave, all the creation morphs will be applied to the base mesh instead of being loaded as morphs. This helps reduce the number of morphs to a Lightwave manageable level. It functions by applying, at the dial setting, any non-zero morphs and loading all morphs set to zero to use for animation. You can also flag morphs that are just to be dropped and not imported. A more efficient way to create characters in Poser for Lightwave! Now also uses Body level Poser dial settings as well as part level settings when merging character morphs. Convert to LW scale - auto scale the characters to LW size. Mike is 6 feet! Make your characters the appropriate size for your other LW props. NOTE - This feature is not currently compatible with the create default Poser scene setting. Poser Default Scene  If checked, the save .lws process will create the 3 light, multi camera scene similar to Poser instead of the single light, single camera Lightwave style default scene. Includes Poser locked on target hand and face cameras. The companion Layout plugin continues the rigging on the scene created by the modeler load plugin. This plugin correctly parents all bones, which can not otherwise be done automatically since the Poser skeleton does not connect in many places. It also scales, moves, rotates and parents props and secondary figures that were in the CR2 file. Apply body part level (bone level) scaling. The Flip Z button is so Rigger will know whether this model was Loaded with Z axis inverted. Auto create all IK chains in all objects in theCR2 file. Creates nulls at each goal bone as the IK goal and manipulation point. The plugin does create a weight map set, so the characters are animatable as is, but the joints need to be smoother. We are starting to make tweaked weight maps available as they can be completed. Please email you order and include your dongle id. You can then pay by Paypal or by mail. Since it is keyed to your dongle, it will work anywhere your dongle will work. Trans map for Vic 3 as loaded by our plugin. Settings are made for Image Map, Blending Mode, Invert Layer, Projection, setting the created UV Map, the loaded image, tiling, pixel blending and texture antialiasing. The plugin asks you to find the the first map so you can move the textures over to your Lightwave work area. So no ties are left into the Poser directory structure. As you can see, all surfaces are created and smoothing is set. Fairy alexis with default costume and colors. I scaled up the skirt to fit better in LW. Hair was added in Poser before I saved it. Ziza by Thorne, After auto rigging I scaled out the top a bit and scaled in the hair so you could see her ears. That was all. Endomorph list for a PTMill girl based character - Thorne's Cayenne. She has 133 morphs at this point. The base PMill figure has over 400 before creating body morphs and still has over 230 when loaded into Layout. Layout is not very happy (or at least , not very fast)..
Princess Mandi directly loaded into LW, fully textured and with all morphs present. See CR2 Load Page.